When it comes to gaming headsets, what makes these different from the ordinary headsets that are around? Often, the answers would be nothing more than the aesthetics of the device. Yet on occasion, you’ll end up finding headsets that are specifically designed for gamers. These types of headsets were made to be worn and used for much longer periods; and with the high-quality microphones included, you’ll also get to enjoy clearer communication while taking advantage of some good noise isolation. In some cases, you’ll even get the chance to find headsets that can boost ambient noise to improve sound levels. Basically, you’ll have a greater advantage over your opponents. Today, we’re going to focus on Turtle Beach’s Recon 200 headset. The company claims that the device is packed with all these neat features while also giving you sheer comfort throughout prolonged gaming sessions. Let’s check out this sleek-looking headset and see if it’s something that’s worth investing in. Turtle Beach Recon 200 Review – What’s in the Box? We got the black Recon 200, and it came in a nice durable package that’s sure enough to protect the headset while in transit. The front of the box shows an image of the device, and on the right portion of this, you’ll see the logo of Turtle Beach which is just above the product’s name. Under the product’s name, you’ll see the words “Amplified Gaming Headset” which is also written in a different language. Above the image, you’ll find a strip that shows a list of devices that are compatible with the headset. On the box’s flap, you’ll find the company’s slogan that states “Hear Everything, Defeat Everyone”, which can be quite inspiring to every gamer out there. On the sides of the package, you’ll find other specific details about the device such as its features, while the back portion of the box displays another image of the Recon 200. On the lower left portion, you’ll see a compatibility list, while the information surrounding and labeling the device are the special features that are present. Inside the box, you’ll notice that there aren’t really a lot of things included there. However, the few accessories that are present are all the things that you’ll need to properly utilize the device. In the box, you’ll get the Recon 200 gaming headset, a micro USB charging cable, a sticker from Turtle Beach, and a quick start guide. The Recon 200 from Turtle Beach is a full-sized and finely made over-ear headset that is crafted with a metal reinforced headband. It is wrapped with nice faux leather that is set over a thick and chunky layer of memory foam. The headset was designed specifically to enhance the comfort that you and every gamer need, combined with the needed durability to withstand hours of gameplay. The Recon 200 can be quite heavy, but it’s all because of its reinforced construction and build. Ear cups featuring an over-ear design provides you with a certain level of noise reduction while listening to the surroundings in your game. This will also allow you to better hear your team with added clarity. Keep in mind that its noise isolation feature isn’t that grand, but the Recon 200 sure does help you get rid of various distractions in the environment. It’s also quite useful for preventing the audio of your gaming from distracting those around you. Just underneath the microphone, you’ll see the volume’s onboard controls. The mute and volume buttons are both directly on the headset, so you won’t have to bother tabbing in and out of gaming just to toggle with the audio. As for the appearance, the Recon 200 features a cleaner and more low-key look. We can also say that the headset’s design is close to that of normal headphones. This is actually the case since the device’s design is geared toward casual gamers. Turtle Beach also made sure that the Recon 200 gives you over-ear and full-sized earphones so you won’t have to worry about getting your ears scrunched bay the pads. Turtle Beach ensured that their headphone’s weight won’t give any form of pain and discomfort despite long hours of use. And by doing this, they’ve utilized additional headband pads which is a very wise decision. The memory foam found inside the headband will surely degrade overtime. Yet thanks to the leather faux design of the headset, the foam will be adequately protected to prevent it from breaking easily. The Turtle Beach Recon 200 is compatible with devices that have 3.5-millimeter audio connections like the Xbox One, Nintendo Switch, PS4 & PS4 Pro, mobile devices, and PCs. It has a 20Hz to 20kHz speaker frequency response, plus onboard controls for the variable mic monitoring wheel, master volume wheel, and the PS4 / Xbox One platform switch. For convenience, the Recon 200 also features a fixed omnidirectional flip to mute mic and its 40-millimeter speakers come with Neodymium magnets. You’ll get to wear the Recon 200 comfortably even for prolonged periods. This is because the material used for its headband is made from quality synthetic leather that comes with foam cushions. As for its ear cushions, the Recon 200 features over-ear pieces that are also made from synthetic leather; but for added comfort, these have memory foam cushions instead. The high-sensitivity mic easily picks up spoken words to ensure that commands are always detected and heard. The nice thing about it is that this flips up and out of the way to mute when the device is not in use. With the Recon 200, you can enjoy louder music with bass that resonates. And when it comes to gaming, you’ll get to enjoy and immerse in high-quality amplified audio. To make your games, movies, and music more realistic, Turtle Beach optimized the headset by utilizing the surround sound feature of Windows Sonic for Headphones. The headset’s headband is reinforced with metal to enhance the headset’s durability. The Recon 200 features high-quality 40-millimeter over-ear speakers to give you excellent and crisp highs and lows that you”ll surely enjoy. With its long-lasting battery, you can use the Recon 200 for continuous gaming for over 12 hours of gaming. The Recon 200 from Turtle Beach does not disappoint when it comes to its sounds. We tried using it for a variety of games and it was able to provide deep and rich bass notes, as well as crisp, clean sound effects. We further enhanced the sound that it produced by using software such as Windows Sonic and Dolby Atmos. The Recon 200 may not be as clear with distinct tuning as the more expensive devices of Turtle Beach, but it can still deliver HQ sounds with rich and amplified bass and volume. The microphone is great for comms chats, but it’s not really something for content creation or podcasting. Even if Turtle Beach didn’t make use of the common 50-millimeter driver which is often seen in bigger headsets, the Recon 200 still packs a punch and efficiently functions just like how it should. A lot of the device’s excellent performance comes from its integrated amplifier; and while it would be normal to rely on your console controller’s power, the Recon 200 provides its own power instead. The device was able to produce harder and louder audio compared to most headsets that we’ve tried. The Recon 200 sure has boosted and enhanced capabilities when it comes to audio performance, but it’s also a headset that provides you with clear and crisp sounds. 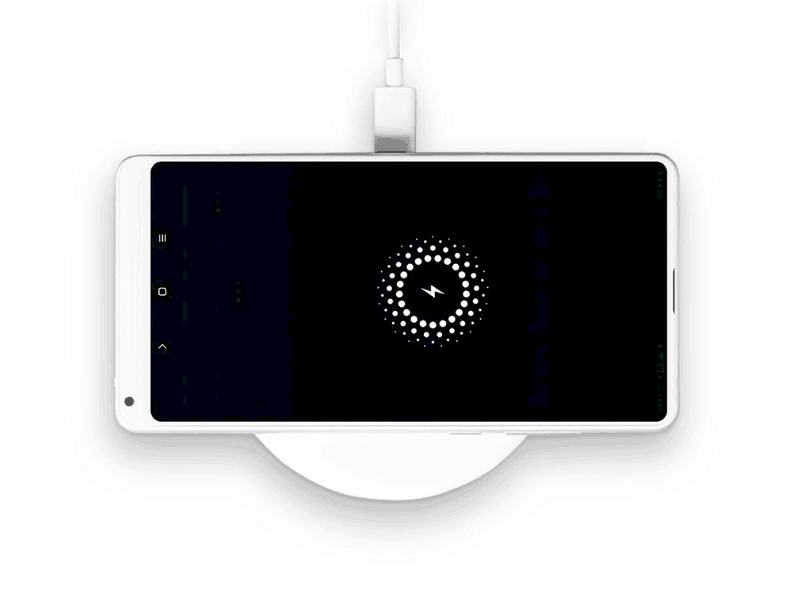 The device leans quite a lot on the treble while giving you excellent clarity; making it a really suitable device for online and competitive gaming. Plus, it’s also a great device when it comes to natural chat audios while utilizing the integrated mic. With the price and efficiency of the Recon 200, it’s easy to see why a lot of people like this headset. Since it can be used with a variety of devices, you’ll basically need just one headset for gaming. The Recon 200 is really lightweight, despite having a metal headband. Its leather-wrapped memory foam cushions make it comfortable which is excellent when using the device for long periods of time. Aside from these, the Recon 200 also features a built-in microphone that’s extremely advantageous for gamers. What we immediately recognized was the headset’s sleek and appealing design. Turtle Beach made use of a lot of techniques that were present in their previous lineup, such as its microphone with a flip-to-mute feature, as well as diagonal pivots on its cups. The company also designed the headset with a two-toned finish which adds to its aesthetic. For the headband, its interior has a strip of brushed metal which perfectly matches the black and gunmetal accents. We love this design a lot and hope that Turtle Beach keeps this style for their next products. If you need an affordable headset, we think that the Recon 200 from Turtle Beach is a great choice especially if you need the mic monitoring feature. When it comes to audio, it really delivers excellent sound when you play PC, PS4, and XBOX ONE. You can get yourself a pair of Turtle Beach Recon 200 Headphones for $99AUD from over at the official Turtle Beach website.